Often referred to as the “good” cholesterol, HDL cholesterol is an important factor in healthy body function. Cholesterol is a wax-like substance that your body naturally makes. Your body produces cholesterol, and you also bring cholesterol into your body with the foods you eat. There are two types of cholesterol. When cholesterol is traveling through the body, it attaches itself to proteins. The type of protein it attaches itself to determines the type of cholesterol. These proteins are called lipoproteins, and are classified as either “high density” or “low density”. Low density lipoproteins, or “LDL”, make up “bad” cholesterol. High density lipoproteins, HDL, make up “good” cholesterol. What Does HDL Cholesterol Do? The body needs cholesterol for normal and healthy body function. In your cells, cholesterol helps to produce hormones. It also helps to produce the bile that breaks down fat for easier digestion. Cholesterol is also necessary for the production of Vitamin C.
High density lipoprotein cholesterol (HDL cholesterol), specifically, is very necessary and helpful for healthy body function. HDL cholesterol actually seeks out and flushes away the “bad” LDL cholesterol. HDL cholesterol basically acts as a cellular cleaning crew, scrubbing away and removing plaque and waste from your arteries. This makes HDL cholesterol a key player in preventing heart disease. What Should My HDL Cholesterol Levels Be? To check your cholesterol levels, your doctor can do a blood test called a “lipid panel”. This test will tell you your HDL and LDL cholesterol levels. The higher your HDL levels are the better. Typically, an ideal HDL level would be over 60 milligrams per deciliter of blood (mg/dL). An HDL level of less than 40 mg/dL is considered low and steps should be taken to increase your HDL cholesterol. How Can I Increase My HDL Cholesterol? First of all, talk to your doctor. Your physician should always be aware of any changes you are making, and may be able to make recommendations to help you. Living a healthier lifestyle is the key to increasing and maintaining healthy HDL cholesterol levels. Exercise: Just 30 minutes of exercise a day can boost your health, including your HDL cholesterol. Diet: A lot of the “bad” LDL cholesterol in our bodies comes in via your food intake. High cholesterol foods, especially animal products, increase the “bad” LDL cholesterol in your body and make it harder for the “good” HDL cholesterol to do its job. Lifestyle: Among its other risk factors, smoking increases LDL cholesterol and decreases HDL cholesterol levels. Quitting smoking will reverse this process, and allow your body to produce. With cholesterol, genetics can also come into play. If you live a fairly healthy lifestyle or you know someone in your immediate family has suffered with cholesterol issues, discuss this with your doctor. He or she might recommend a different course of treatment, maybe including medication, to help you. HDL cholesterol is an important factor in major body function and is necessary for a healthy lifestyle. With your new understanding on the facts about HDL cholesterol, you can take steps to increase your “good” cholesterol and ensure a healthier lifestyle. 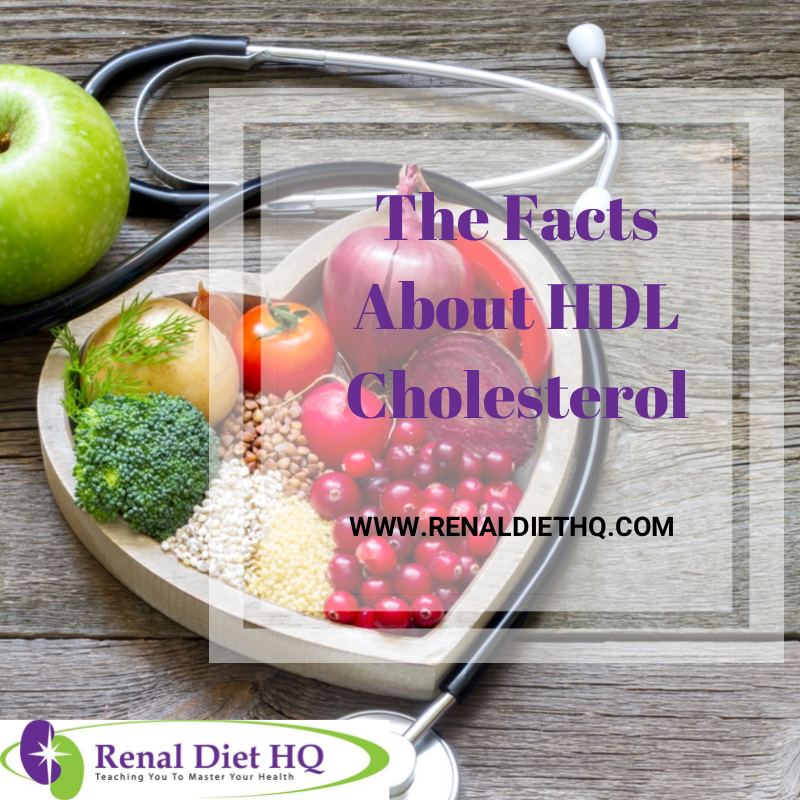 For more facts about HDL cholesterol, make sure to check out my other blogs on Healthy Diet Menus for You.